Allez, Chantez! makes people sing together. It’s as simple as that. We create places where people can have fun, meet new people and forget about every single worry on their minds… just by making them sing together! We are capable of building local communities not only because we communicate and act on it, but also because singing is one of those things that gets you to connect to yourself and very easily to other singers. When people sing together, they all become equal and forget about their differences. At our singing sessions people with an age of 20 until 70 and with very different social-economic backgrounds blend into one voice and therefor empathy between different (groups of) people starts growing. We train singing coaches and musicians to be the perfect guide on a trip that leads you to youth sentiment and connection with people who like to sing as well. 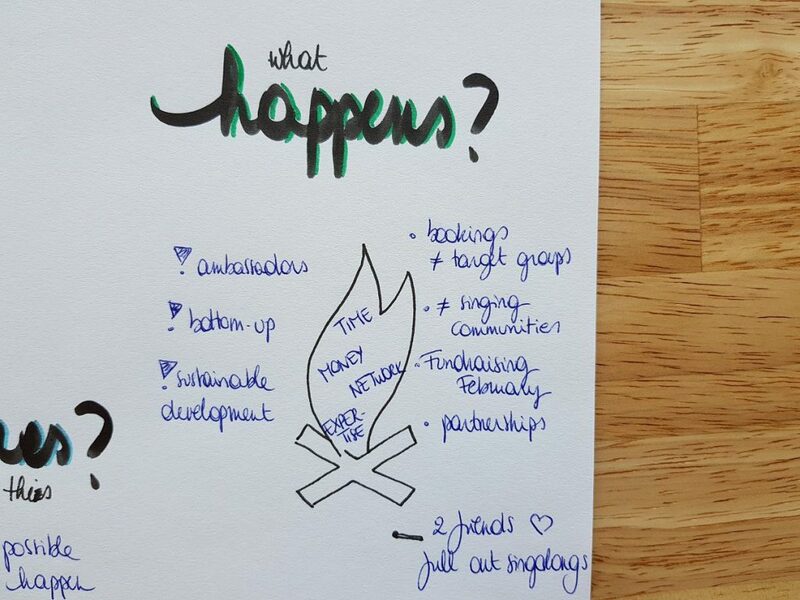 But there’s more: because we don’t ask for any commitment (no membership or entrance fee, registration, preparation, musical talent or knowledge) our fanbase is very willing to give some of their spare time (volunteers), money (fundraising), network (relationships) and knowledge (expertise). 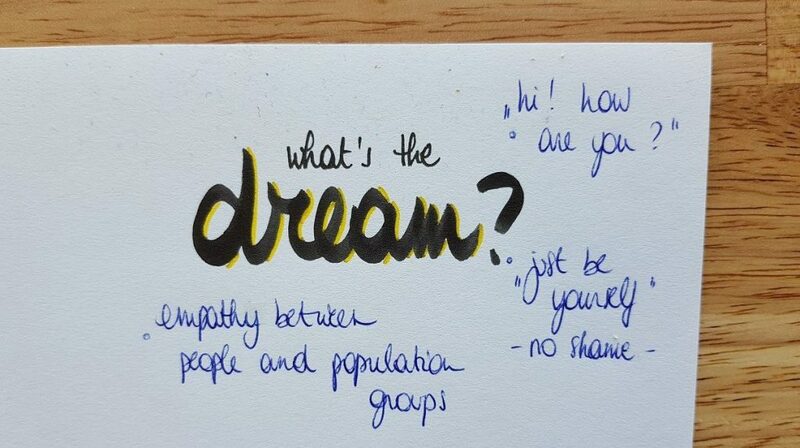 In our communication we underline the possibility to be part of our project by sharing whatever they want. And that’s why when there’s an article of Allez, Chantez! in the newspaper, our fans will come to us and say “that WE were in the newspaper”. They feel that the co-own this project and that they are co-responsible to keep the singing community alive and kicking. Allez, Chantez! creates places where otherness is not an obstacle to connect, but (on the contrary) where people help each other to generate even more shared singing pleasure (for example this girl who helps two Syrian refugees to translate the song texts in advance). We build bridges across sectors (for example a company books our singing coaches to make their employees sing every month in the elderly home next door so they make a real life connection with the neighbourhood). There are several ways in which we build strong partnerships to achieve goals that make us stronger human beings in the end. 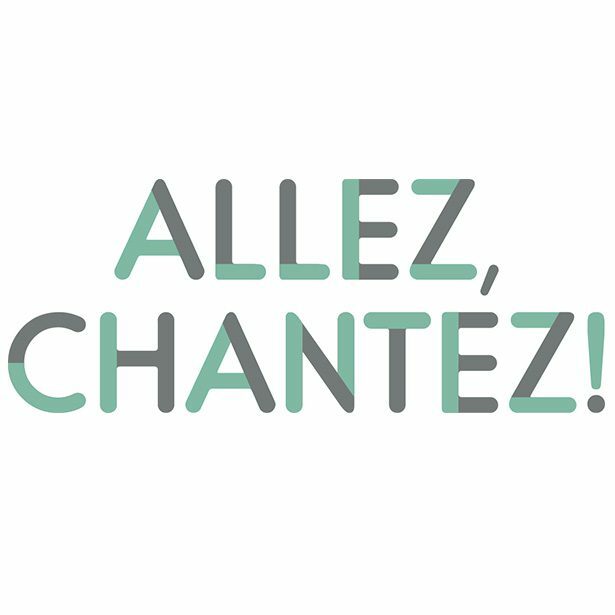 In 2015 Allez, Chantez! 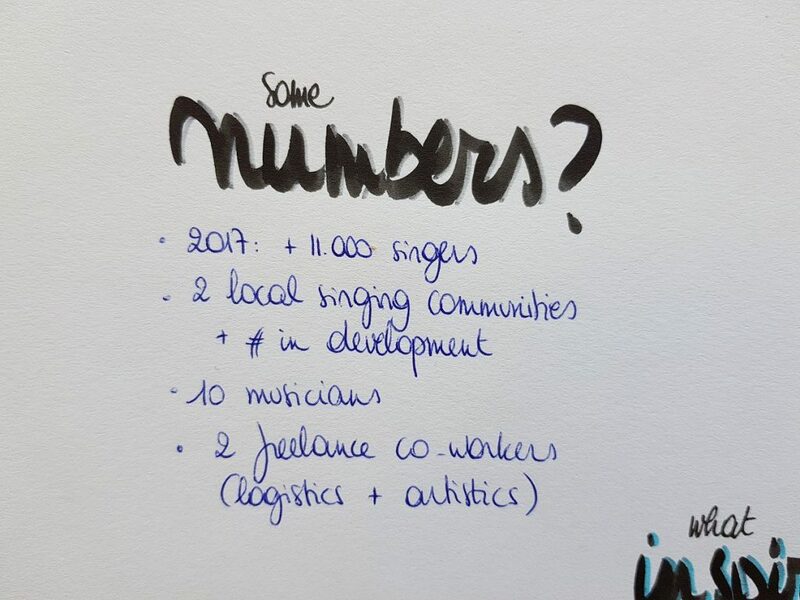 started a local singing network in Ghent (Belgium) and from then on the project started growing really fast. By now we’ve got two Belgian local singing networks up and running (and three more in the pipeline), and we started our first negotiations with partners in the Netherlands and UK. In 2017 more than 11.000 people sang together with our singing coaches and word-of-mouth keeps spreading our good vibrations. 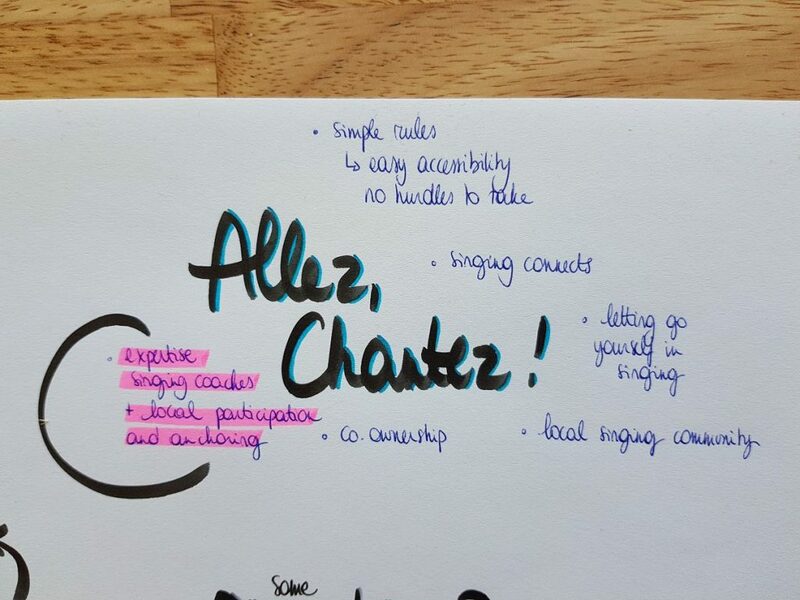 We’re looking for partners who’ll give Allez, Chantez! 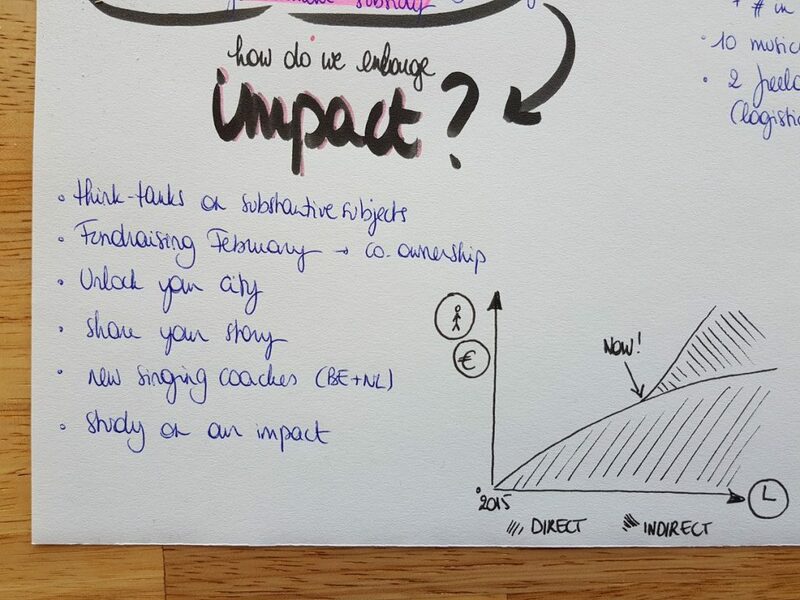 the chance to grow in two directions: wider (international) and deeper (with an even stronger knowledge fundament in the world of fundraising, participation, co-ownership, community building, etc.). With the right partners we could not only make more people sing together, but we could as well increase the strength of local communities. It will even enhance the sustainability of the networks that we create by making people sing together without asking for any commitment. 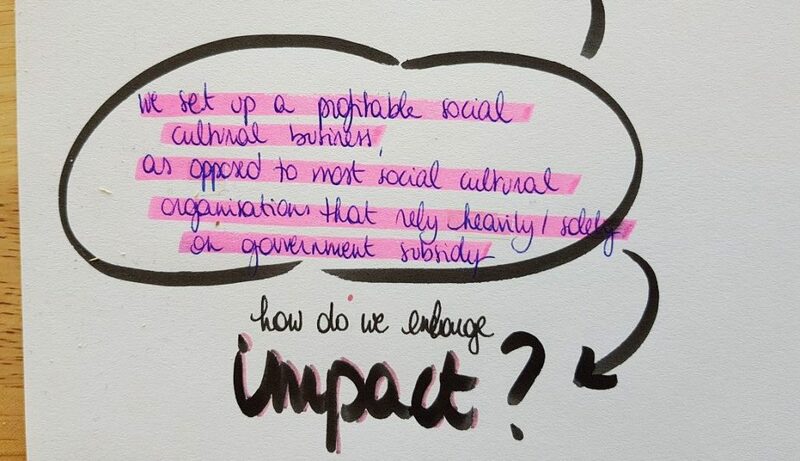 Contact us if you want to join our network of partners who are silly enough to change the world!